Todays post is going to be my review on Soundless by Richelle Mead. Soundless is about a girl named Fei who lives in a village that is on top of a mountain. In Fei’s village the people mine for medals and send them to the township that is at the base of the mountain. The way that they send the medals down the mountain is by zip line because many years before the path to go down the mountain was blocked off with rocks caused by an avalanche. Oh, and that is not even half of their problems, everyone in the village are deaf so they communicate by sign language but now people are starting to lose their sight which is a huge problem. Not only that, the township is sending them less food because they are not minding as much as they had. One day in the middle of the night Fei regains her hearing and that is when the story truly begins. I want to start this review by saying that I did not dislike this book, but I also did not love it. 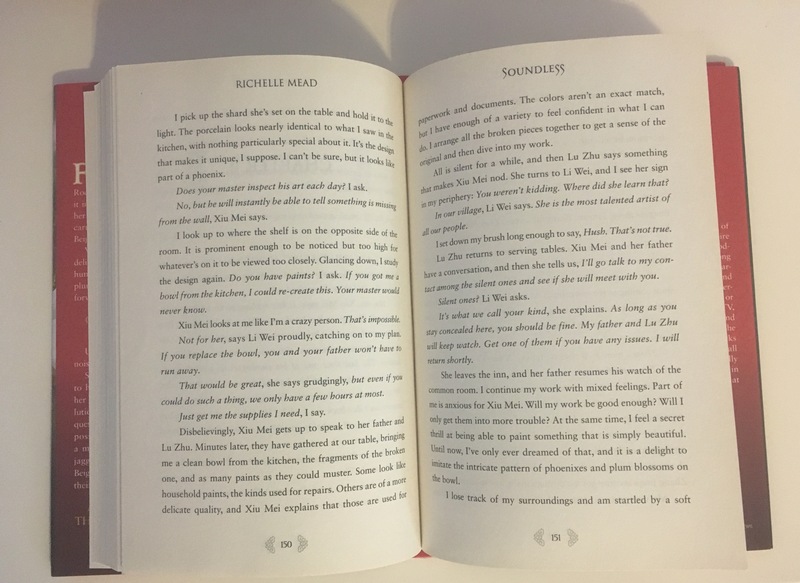 There are a lot of things that I enjoyed about Soundless especially the fact that it is a very unique book. It was very interesting to see how everyone in the village communicated. The plot of Fei and Li Wei trying to get answers about what was going on in their village was a good story line. I enjoyed uncovering the secrets of their world along with them. As the story went on we got more questions about what has happening and what happened in the past. It was fun to learn the answers to those questions because I did not see any of it coming. I am not sure how to say this without spoiling, so I am just going to say that I wish we got to meet a certain character. I think it would have been cool to see what this person was really like and just get to see what they were all about. I believe that the reason why I did not love this book was because it was so short. Due to the book being short I was not able to connect to the characters. There was not a character that at the end I felt were my favorite. Which is sad because I want to care for the characters and I did not get that from this book. That said, I did still enjoy reading Soundless it was different from the books I usually read and I am glad I gave this book a go. 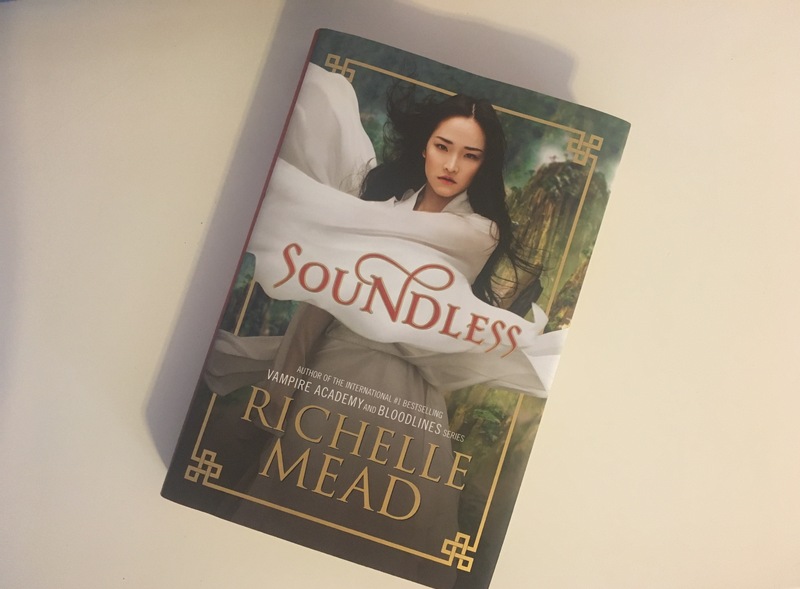 Let me know in the comments if you have read Soundless and what you thought of it?